Ed. 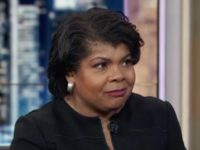 Note: This is the second part of a four-part series of exclusive excerpts from Jonah Goldberg’s new book, “THE TYRANNY OF CLICHÉS: HOW LIBERALS CHEAT IN THE WAR OF IDEAS,” with an introduction from the author. The word “crusader” has been completely captured by the forces political correctness. Whatever their sins, the Crusaders weren’t conquerors or the first invading shock troops of Western imperialism. They were warriors sent to reclaim lands taken by Islamic invaders. The great irony is that both Western progressives and Islamic fundamentalists have unwittingly bought into the same propaganda. — J.G. The great irony is that the zealot-reformers who want to return to a “pure” Islam have been irredeemably corrupted by Western ideas. Osama bin Laden had the idea that he was fighting the “new crusaders.” When George W. Bush once, inadvertently, used the word “crusade,” jihadists and liberal intellectuals alike erupted with rage. It was either a damning slip of the tongue whereby Bush accidentally admitted his real crusader agenda, or it was a sign of his stunning ignorance about the Crusades. Doesn’t he know what a sensitive issue the Crusades are? Doesn’t he know that the Crusades belong alongside the slaughter of the Indians, slavery, and disco in the long line of Western sins? By that point the Crusades period was several centuries in the rear­view mirror, and most Muslims considered them one of their many, if minor, victories. Lost in much of this discussion is that Christianity is not a Western faith imposed on the Middle East by the West. It was a faith born in the East that spread to the West. The Holy Lands were Christian for centu­ries before Muhammed was even born. The Crusades were launched not as a war of conquest but as a war to save Christians from Muslim perse­cution and conquest. Atrocities in the name of Christ were undoubtedly committed, as were atrocities in the name of Islam. One need not condone all of that. Indeed, one can single out Christianity for its hypocrisy, since the crusaders at times violated their ideals of love, forgiveness, and char­ity, while Islam was under no such restraint. It’s a bizarre turn. Robert Frost defined a liberal as someone too broad-minded to take his own side in a fight. In their desperation not to take their own side, today’s anti-imperialists take at face value the fl awed arguments of nineteenth- and twentieth-century imperialists just so they can condemn their own country for its imperialism. And, in their conde­scension, liberal commentators assume the West was always in the position of the aggressor, the hegemon, the empire builder, and that we have noth­ing to offer to the rest of the world but apologies. They lecture the rest of us about the burning need to understand and empathize with the frustra­tion of the Arab street, and for Westerners to see things through their eyes so we don’t breed even more terrorists (see Chapter 23, Understanding). Meanwhile, the Muslim fanatics we are hectored to understand are recognizable to liberals precisely because they’ve been colonized by the same Western clichés. 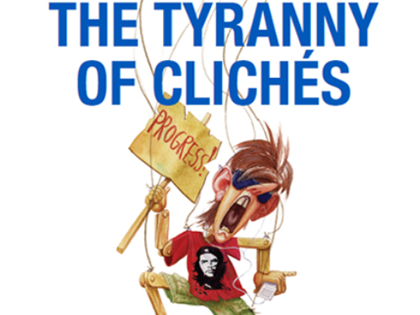 Excerpted from THE TYRANNY OF CLICHÉS: HOW LIBERALS CHEAT IN THE WAR OF IDEAS by Jonah Goldberg by arrangement with Sentinel, a member of Penguin Group (USA), Inc., Copyright © Jonah Goldberg, 2012.